This coming Saturday I'll be running in a 5k. I've talked about it for a long time and have finally decided to step up and do it. 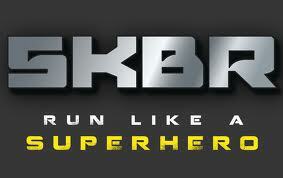 I am participating in the 5KBR benefiting Kid One Transport. So if I die, at least it will be for a good cause. But, I need your help. I've never done anything like this before. So I need some advice. What do you think I should do or should know before the run starts Saturday morning? As I've been running on the treadmill in the past to prepare, this is what I chant to myself to keep going. It's been pretty effective so far. I don't mean like Birkenstock comfortable. Just something that protects and will not cause blisters. So even though I'm due for new running shoes, I'm not about to run in new shoes. 3) Restroom use is something that needs to be planned ahead of time. I don't want to be surprised mid run with a sudden urge to "go". Need to remember to take care of that ahead of time. That's about all I've got for now, so I'm probably in trouble. As I look back over this list, I realize these are also good things for me to remember when my kids leave me in a nursing home someday.